While we should appreciate our mums, it’s hard not to enjoy their hilarious attempts at texting every once in a while. There are the ‘if you’re not dead you’re in trouble’ texts (aggressive inquiries as to why you’ve not called in a couple of days), the explanation texts (unnecessarily long descriptions of what your mum did that day), the attempt at a really bad joke text, and lastly, the beloved photo texts (Do you not want to see this birthday photo of this person you don’t know?). 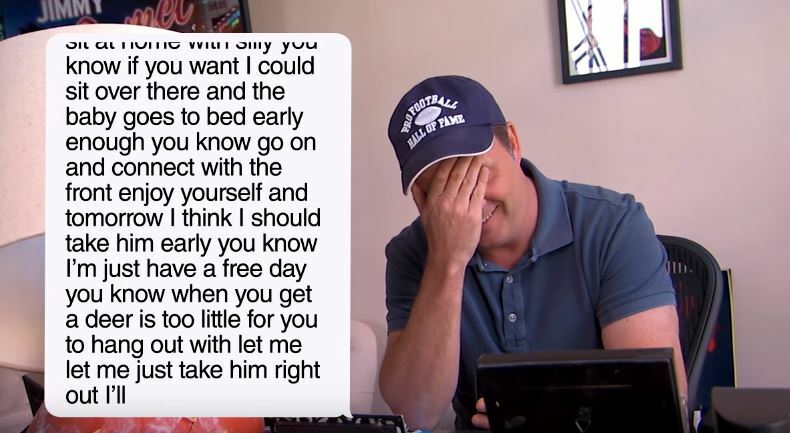 With Mother’s Day in the U.S. coming up, Jimmy Kimmel decided to highlight the particularly comedic – and most times painful – form of parental communication which is of course, texting. The resulting video shows staffers reading texts they’ve recently received from their mums. And obviously, it’s as hilarious as you would expect. Basically, the moral of the story is text your mum. You won’t be disappointed.